is there any solution to this ? Is it possible that the drive itself is defective ? 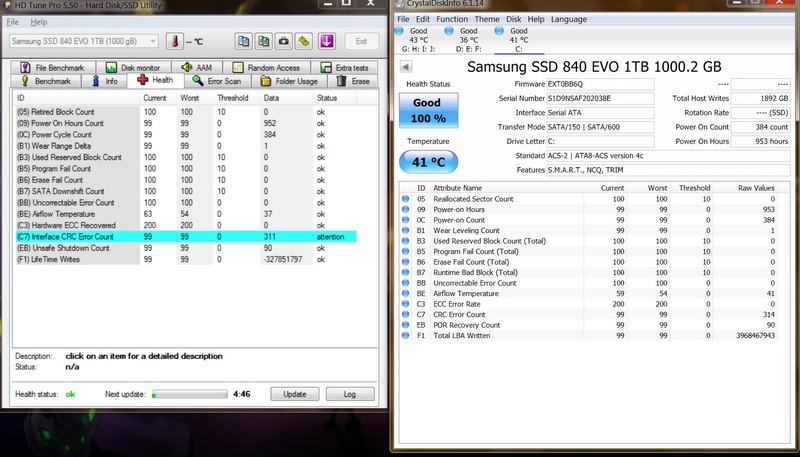 I'd first use Samsung's own tools for evaluating drive health. If you want to do an RMA they'll probably want that data anyway. Magician is an excellent tool, so start there and let us know what you see. How old is the drive? The drive is about 6 months old. here is the smart report from magician. The CRC number still increasing !! When the drive software said the drive is fine, I tend to worry less about a single SMART error which is also listed as OK. If you're really worried about it give tech support an email.